Buy movie tickets for yourself or for Christmas presents through Fandango.com, and you could share in $1 million worth of prizes. 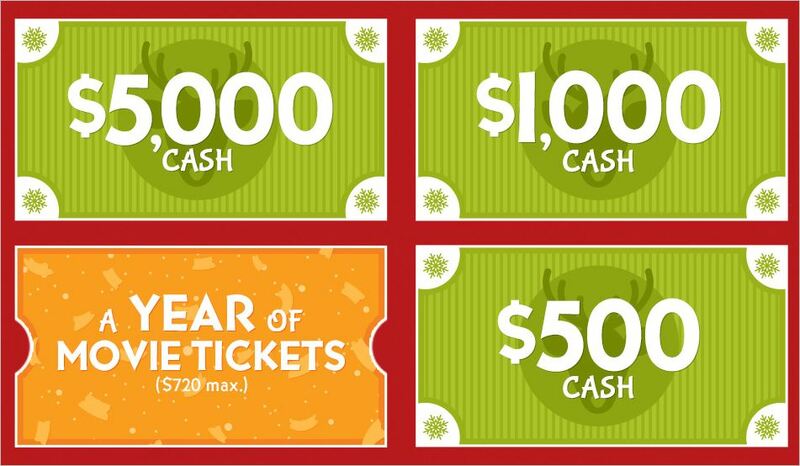 You can instantly win $5000, $1000 or $500 in cash, or smaller cash amounts, free movie tickets, movie gift cards or dinner/movie gift cards in Fandango’s Holiday Instant Win Giveaway. See Fandango’s Official Rules for non-purchase entry methods.